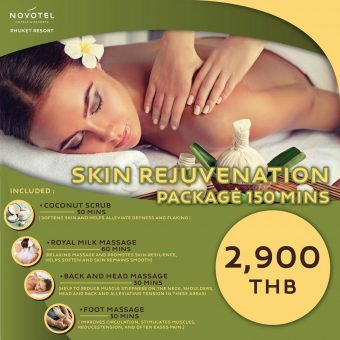 Indulge in a unique Spa experience at Novotel Phuket Resort in Patong. 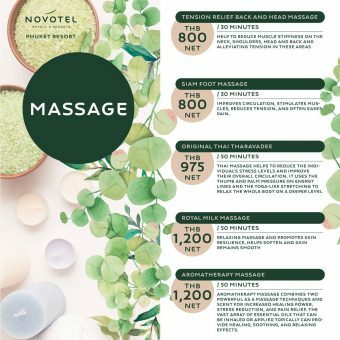 The SPA combine expertise and well known Thai “savoir-faire” to deliver a unique experience for every guest. Our highly trained spa therapist listen to your specific requests and concerns to provide a level of tailor made service that is unequaled. From the moment you make your appointment, each step of your time with us will be handcrafted to you.